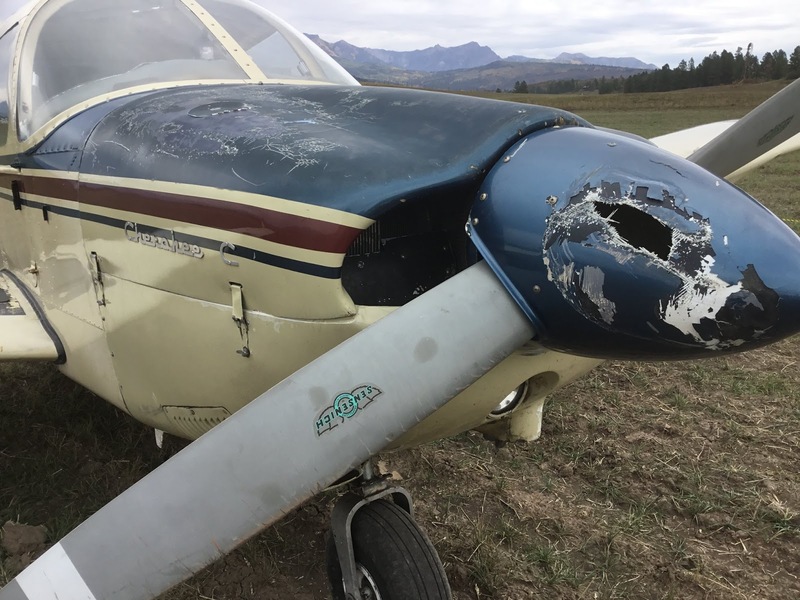 On September 19, 2018, about 1100 mountain daylight time, a Piper PA28 180 airplane, N8003W, impacted fencing and terrain during a forced landing near Pagosa Springs, Colorado, following an inflight loss of engine power. The airline transport pilot rated flight instructor and the student pilot were uninjured. 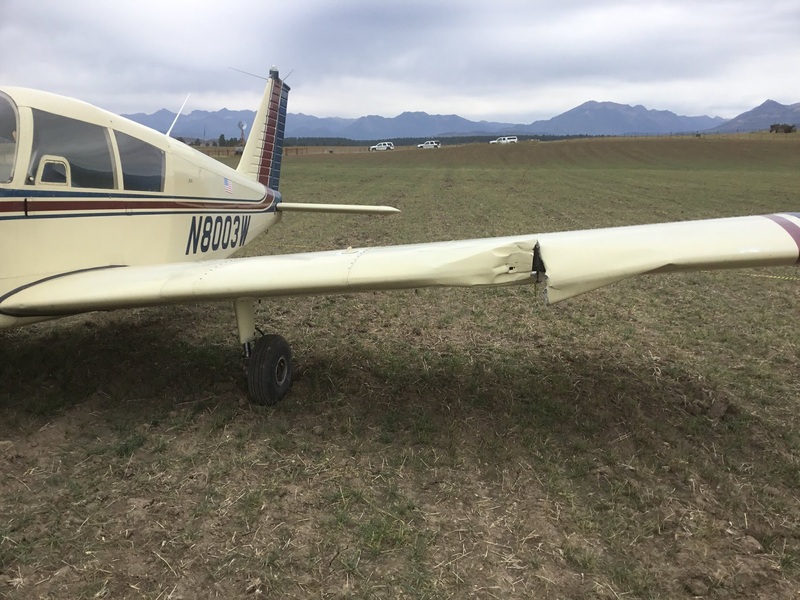 The airplane sustained substantial damage during the impact with fencing. The airplane was registered to and operated by San Juan Flyers Inc. as a Title 14 Code of Federal Regulations Part 91 instructional flight. Day visual meteorological conditions prevailed in the area about the time of the accident, and the flight was not operated on a flight plan. The local flight originated from the Stevens Field Airport, near Pagosa Springs, Colorado, about 1000. According to initial information, the flight instructor was introducing engine failure emergency procedures to the student pilot. The flight instructor subsequently added power to go around. 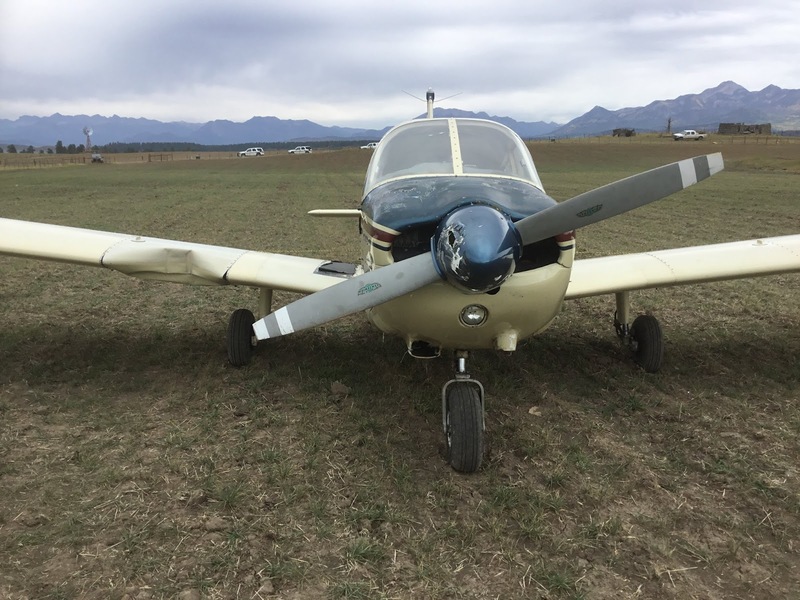 The engine sputtered, and the flight instructor subsequently performed a forced landing where the airplane impacted fencing and ditches and came to rest in a field. At approximately 10:00 on Wednesday, the 19th, ACSO responded to a "controlled plane crash" up in the Wildflower subdivision. According to the pilot, Anne Kautzky, she and her student, Harold Bright, were practicing simulated engine failure. Prior to doing this maneuver, a safe location is chosen in which there is room to land the plane, if necessary. It became necessary when the engine failed to restart and the pilot had to set it down. 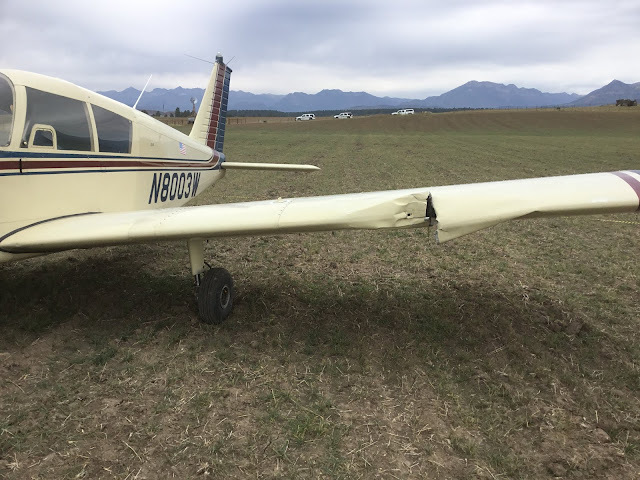 Both parties walked away unharmed, however, the plane sustained moderate damage to the leading edge of both wings, the nose cone and the front landing gear after traveling through a fence, across the road, through another fence and eventually came to rest in the middle of a field. The FAA (Federal Aviation Administration) and the NTSB (National Transportation Safety Board) were notified of the crash, but because there weren't any injuries or death, they quickly released the ACSO from the scene and turned it over to the insurance company for recovery. Because this accident occurred on private property, we're asking curious folks to stay off the property and to respect the property owner's and the ranch management. A pilot and student practicing a simulated engine failure Wednesday didn’t have to wait long to put those skills to use when the plane’s engine failed to restart during the training exercise. 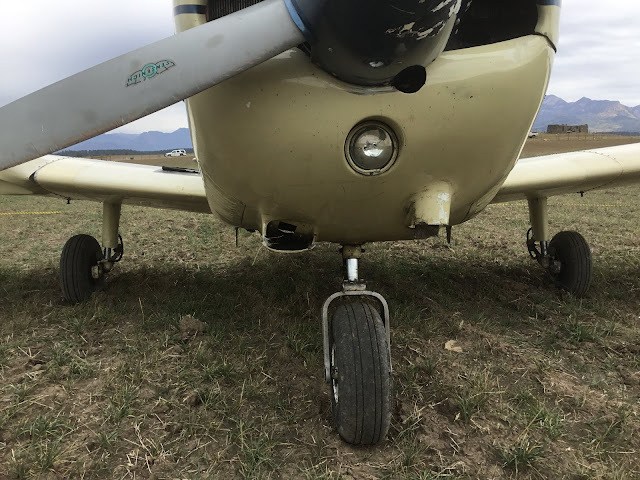 Around 10 a.m. Wednesday, pilot Anne Kautzky and her student, Harold Bright, were practicing a simulated engine failure in the skies near Pagosa Springs, according to the Archuleta County Sheriff’s Office. During the training, the plane engine failed to restart, and it became necessary to set it down, the Sheriff’s Office posted to its Facebook page. Before executing the simulated engine failure, a safe location was identified in case it was necessary to land the plane. Kautzky landed the plane in a field near the Wildflower subdivision, about 10 miles north of U.S. Highway 160 off Piedra Road. Kautzky and Bright were not injured in the landing, the Sheriff’s Office said. The Sheriff’s Office said the Federal Aviation Administration and the National Transportation Safety Board were notified of the crash. But because there were no injuries or deaths, the Sheriff’s Office was released from the scene and the matter was turned over to insurance companies. The Sheriff’s Office said the incident occurred on private property; it is asking people to stay off the property.